In this article I describe the development of my collaboration with the textile artist Susie Freeman in the production of the visual arts project Pharmacopoeia. Over the past 3 years we have created a body of work that aims to provide information about common medical treatments in a way that engages the public imagination. 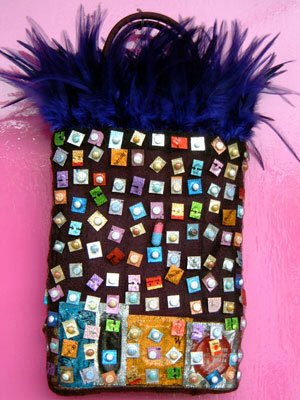 The work is dominated by the use of active pharmaceuticals, both pills and capsules, which are incorporated into dramatic fabrics by a process known as pocket knitting. These fabrics are then made into clothing and accessories, making their individual messages easier to ‘read’. The work aims to encourage people to think about their own medical and pharmacological history, and to reflect on their relationship with commonly prescribed drugs. It also reveals how dependent our society is on pharmaceuticals, how ambivalent we feel about them and yet how casually we use them.